On Wednesday, Cisco reported growth in its revenue and profits for the quarter just ended, and in a conference call to discuss the results Robbins was asked about Cisco's plans for long term growth. "We'll continue to be very acquisitive going forward, especially in areas like software and security," he said. They're two of the areas Cisco has flagged as growth opportunities in the past. They're also areas where it can generate recurring revenue from subscriptions, something it wants to do more of. Cisco has already been on something of an acquisitions streak, with six purchases announced in less than five months. They include Internet security provider OpenDNS, which it's buying for $US635 million. Robbins was on his first earnings call as CEO after taking over from John Chambers last month. 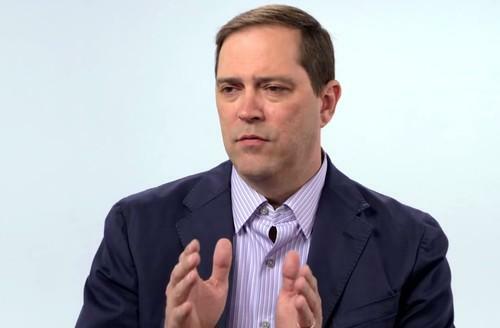 Cisco is in the midst of a minor turnaround, so he's taking charge at an interesting time. Revenue for the quarter was $1US2.8 billion, Cisco said, up 4 per cent from a year earlier and better than financial analysts had been expecting. Net income was $US2.3 billion, up 3 per cent. That's slower growth than in the previous two quarters, but still continues an upward trend. Sales in Cisco's core switching business climbed 2 per cent from last year to $US3.72 billion, the company said, while sales of its routing products were up 3 per cent to $US1.99 billion.